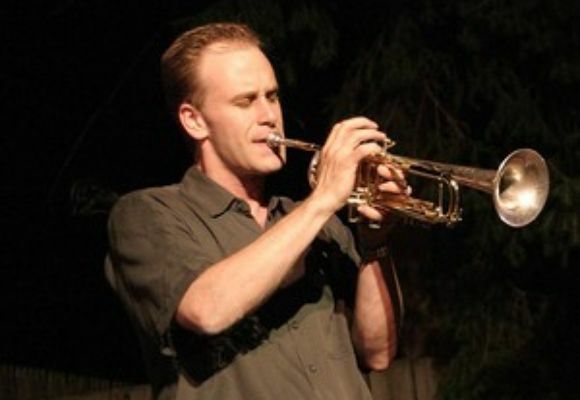 Scott Wendholt is an articulate, passionate, and lyrical trumpeter who approaches music with energy and spirit. He communicates to audiences with sincerity and ease. Born in the mid sixties and nurtured in the Mile High City (Denver), this young veteran left for Indiana University and subsequently moved on to Cincinnati, Ohio. Still feeling a pull from farther East, he, like so many other musicians, migrated to New York City and has remained ever since. Mr. Wendholt is a much in demand artist and has found himself in a variety of settings. He has recorded and/or worked extensively with artists including Kenny Garrett, Cyrus Chestnut, Christian McBride, Don Braden and Bruce Barth. For the last Six years, Scott has found a home with Vincent Herring's quintet. This highly acclaimed band has recorded three albums, including Folklore-Live At The Village Vanguard. He has toured extensively throughout the United States, Europe, South America, Africa and Japan with these bands as well as others. To his credit, Scott has been recorded on more than ninety CD's. However, he is recognized as a leader as well. His second recording for the Doubletime Jazz label was released in the spring of 2000, following three successful Scott Wendholt offerings on Criss Cross. This CD has received much favorable press including a 4 star review in Downbeat. Look for his upcoming release with a new quartet he co leads with Adam Kolker on tenor saxophone. The recording features Victor Lewis on drums and Ugonna Okegwo on bass in a "chord-less" quartet setting with all new music and is due out in late 2013 (Fresh Sound). The "Big Band Scene" has also sought out this trumpeter for his versatility and formidable powers. His list of credits include: The Carnegie Hall Big Band (led by Jon Faddis), Maria Schneider¼s Big Band, the Bob Mintzer Big Band and the Buddy Rich Big Band. He currently has the honor of being included in the Vanguard Jazz Orchestra (formerly Thad Jones/Mel Lewis) where he is a featured soloist. Mr. Wendholt continues to be in demand on the playing scene as well as in the educational arena. Scott is currently on the faculty at Manhattan School of Music and the Jamey Aebersold summer jazz camps and is in demand as a player/clinician in many colleges and various other learning institutions around the world.